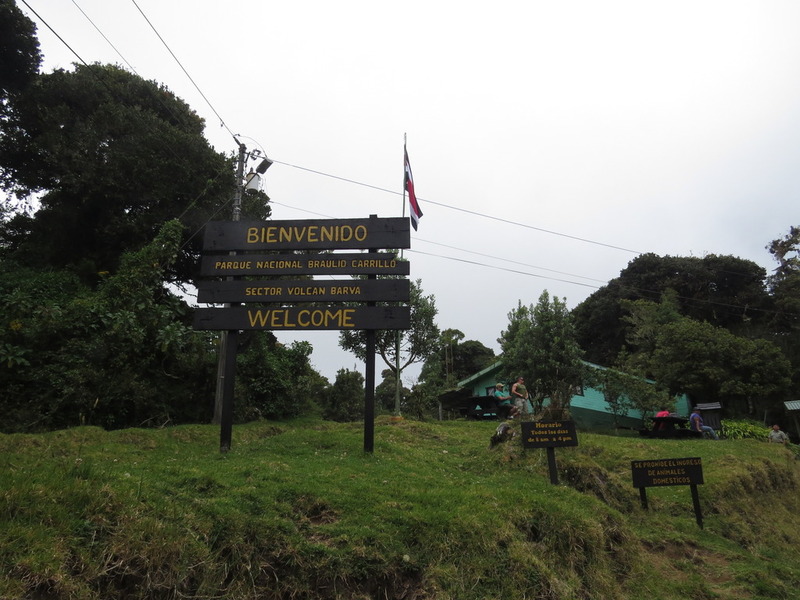 This weekend, I visited Braulio Carrillo National Park for the second time, but at a different sector: Barva Volcano. 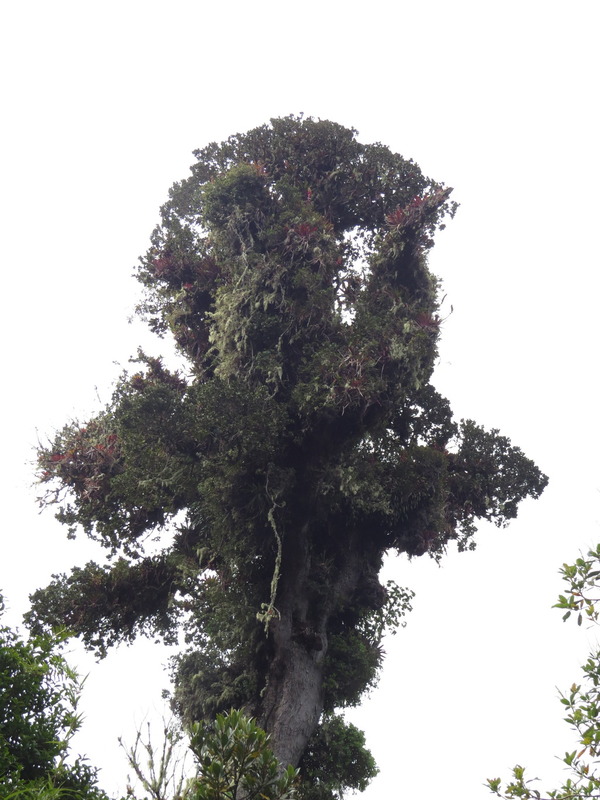 I’d been to the Quebrada González area further east in July of last year, where the ecosystem is more tropical rainforest than the high-altitude cloud forest of a volcano. The Quebrada González eBird hotspot has 382 species reported in 288 checklists at the time of writing this post; in stark contrast, the Volcán Barva hotspot on eBird has 82 species in only 8 checklists, including my own contribution despite arriving at the national park at around 11am, nowhere near ideal circumstances for birdwatching. This discrepancy is likely explained both by the fact that Barva is at a higher elevation and therefore less diverse in terms of species count, but also a pretty small chunk of this massive national park. The lower diversity, however, is compensated by a higher rate of endemism, which is what occurs along high mountain gradients where habitat needs are specialized. 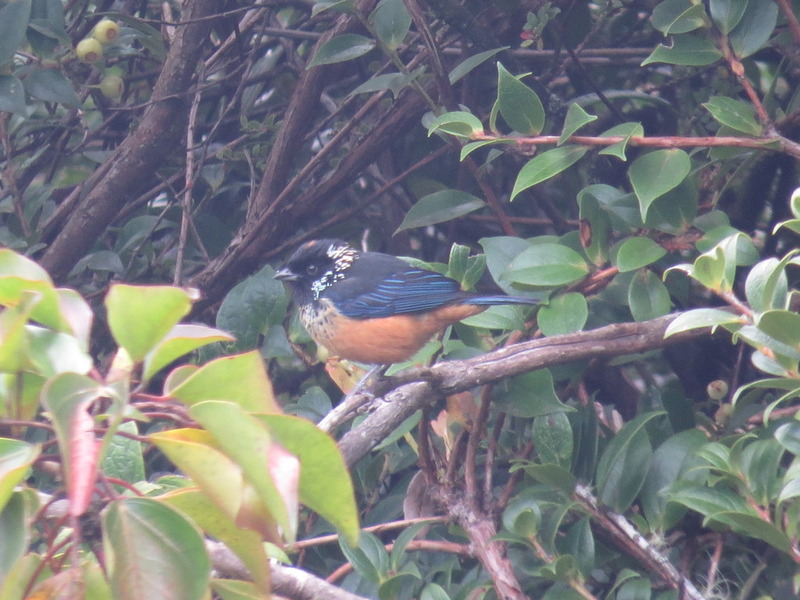 For example, I spotted a Spangle-cheeked Tanager that’s endemic to the highlands of Costa Rica and western Panama, and there were lots of special bromeliads and mossy, licheny trees to admire. 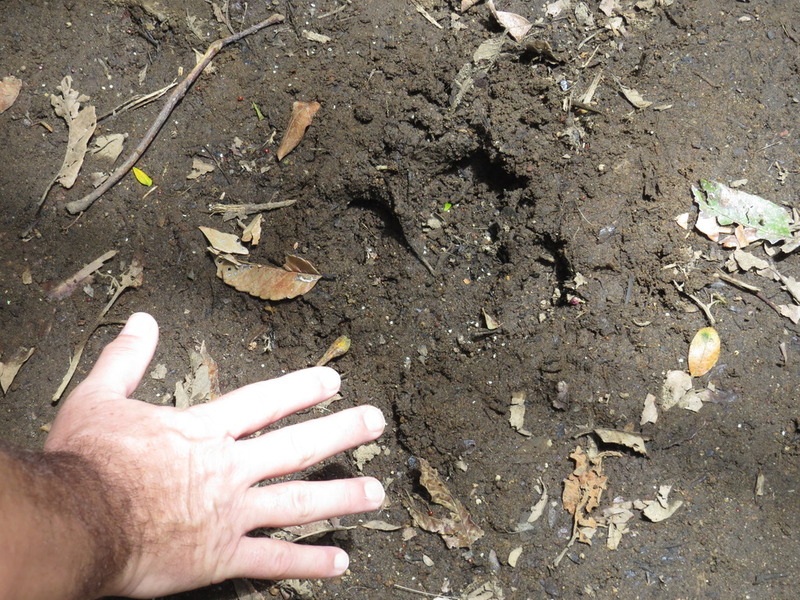 This was likely a full adult individual of the endangered mammal species, since you can see the size of a second track (of what appears to be the hind foot, rather than the front pictured above) seen in the mud with a hand for scale. Other animals that we only got signs of but never saw were the Black-faced Solitaire, whose echoing, metallic whistles were quite reminiscent of the bird’s relative the Rufous-throated Solitaire I heard in Jamaica, and also the relatively soft caws of a Resplendent Quetzal, the national bird of Guatemala and one of the most fantastic species in the region. The Black-faced Solitaire is actually the “mascot” bird of the Central Volcanic Cordillera Conservation Area (ACCVC), which protects more than 250,000 hectares of forest in the central region of Costa Rica, including Poás Volcano. I’m definitely going to be visiting Barva Volcano again as soon as possible, next time arriving in time to do some proper birding and try to see some of the highland species I’ve yet to get a good look at. 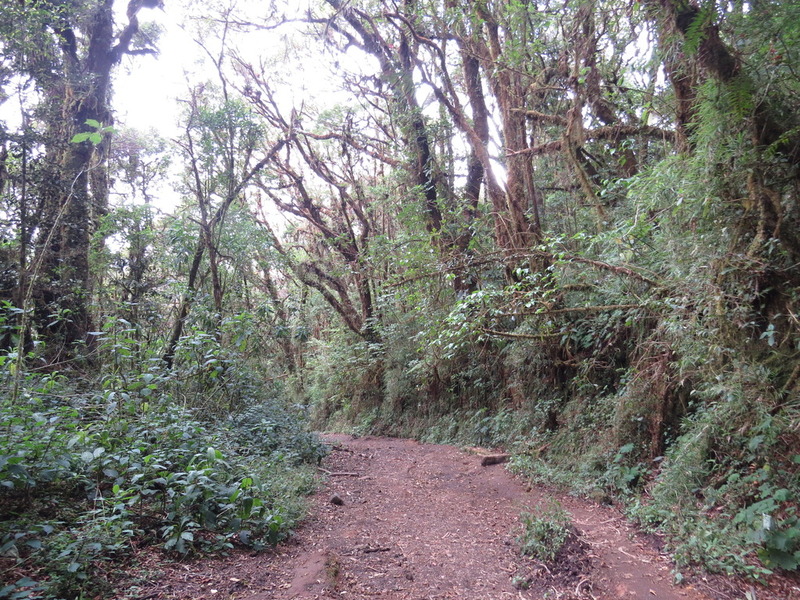 Walking through the cloud forest is always enjoyable given the cooler temperatures, strange-looking trees that remind one of Lord of the Rings scenery (and which my photos barely reflect), and relative lack of biting insects on the well-maintained trails. I’m also hoping to go to the park on a weekday, when fewer visitors should mean more chances of encountering a mammal like the tapir. 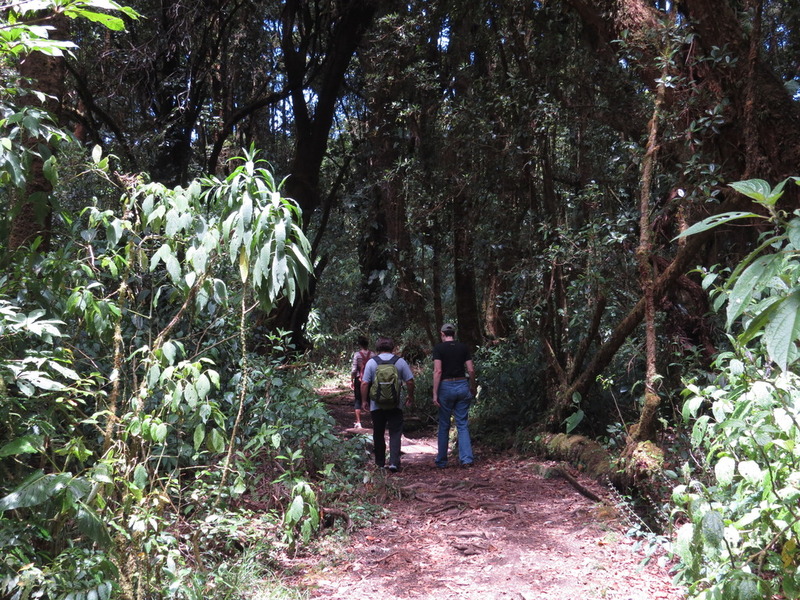 When I asked the park ranger stationed at the entrance to Sector Volcán Barva about visitation statistics, he stated that during the average week about 250-290 people arrived per day on the weekend, whereas only about 30-50 came on the weekdays.